Upon your arrival you will be welcomed at the airport and taken to your hotel for check-in. The rest of the day will be free at your leisure. In the morning you will embark on a 1.5-hour cruise aboard a local wooden boat to reach the small island of Koh Dach. 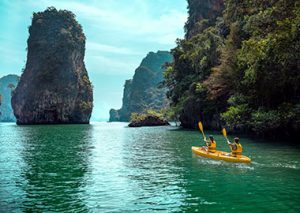 Situated on the Mekong and sufficiently isolated from the capital Phnom Penh, Koh Dach is renowned throughout the country for the quality of its silk. Upon arrival at Koh Dach you will start cycling along small roads to meet the weavers, the local people and take in the lush countryside. All along the trails you will be accompanied by the clatter of the looms. In the afternoon, the ride will continue on to the other side of the island. You will then take the boat back to Phnom Penh. Round off your day with a walk around the Russian market built in 1937 and featuring a splendid colonial architectural style. In the early morning, moving to the south of the city, you will experience another period of Cambodian history: the regime of the Khmer Rouge. 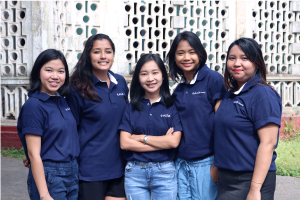 Your historical tour will start with a visit to Tuol Sleng, referred to as the genocide museum, a former secondary school that was transformed into a detention center by the Khmer Rouge. You will then head out to the Killing Fields, or Choeng Ek, 15 kilometers from Phnom Penh, which were the burial site for the victims of Tuol Sleng. After these impressive visits, you will take the direction of Battambang where you will arrive in the evening. 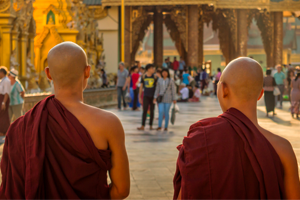 Discover the real Cambodia as a responsible traveler who respects the environment. The Battambang cycling tour is a unique way, off the beaten track, to experience the local way of life of the villagers in the hinterland of Cambodia. Along the path, following a small stream you will have the chance to see typical houses unchanged for generations, rice paddies, local workshops and much more. Take part in the daily activities such as the preparation of sticky rice, the custom of knife making and the creation of the traditional fish paste prahok. An unforgettable experience, as you will ride along seeing the friendly local children waving and shouting “hello”. The afternoon will be spent discovering the charming town of Battambang. You will see the elegant colonial French-style houses along the river, as well as the provincial museum and the superb 12th-13th century temple Prasat Banon. 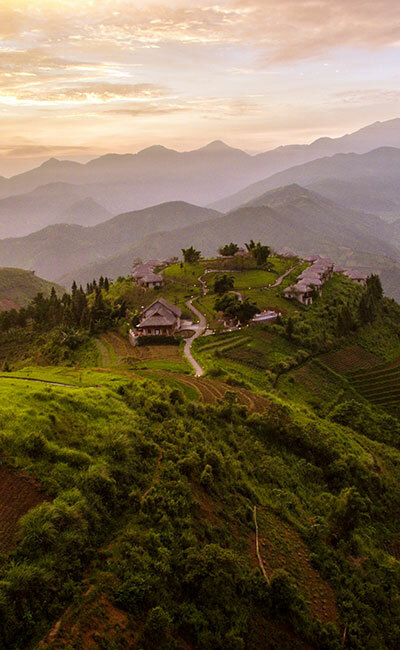 From there, you will enjoy the beautiful village countryside scenery, the plains and their pagodas. Leave by road from Battambang heading for Siem Reap through scenic Cambodian countryside with rice fields and traditional wooden houses. On the road you will observe stone sculptors and silk weavers. At a silk farm about 15 kilometers from Siem Reap, you will be able to see all the steps of traditional silk production, from raising the worms to making the silk and coloring it. The afternoon will be free at your leisure. In the evening, you will attend a circus performance at Phare Ponleu Selpak – “the brightness of art” school – an NGO that supports community development through providing social, educative and cultural services to children and their families. In the morning, leave Siem Reap for Kompong Khleang. 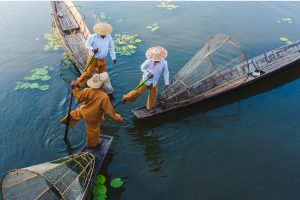 All the houses there are on stilts, offering an exceptional natural environment with breathtaking vistas of floodplains, rice fields and water as far as the eye can see. Walk through the village meeting the locals and their lovely children. 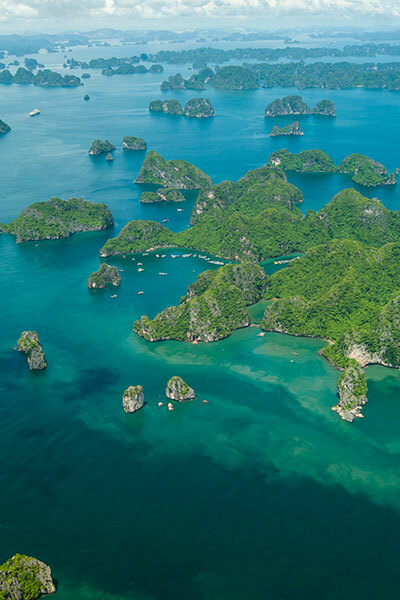 Afterwards, you will travel by boat over the canals to a large lake where Vietnamese people live when they are displaced from their homes because of the seasons. You will then return to the village. In the afternoon, about 30 minutes from Siem Reap, discover one of the most ancient sites of the region: the Roluos group. Begin your visit with the impressive Bakong, a 9th century temple, then Preah Ko and Lolei which today houses a small monastery. This will be an ideal introduction to Angkor because it will allow you to understand how the Khmer city was structured. Take a bicycle ride around Bakong and the surrounding countryside. Experience this unique visit to a traditional wooden house in the middle of the countryside where you will have the opportunity to taste some of the best Khmer delicacies. You will then travel back to Siem Reap. A treasure hunt is a fun and exciting way to discover the wonderful temples of Angkor and also the Cambodian countryside. 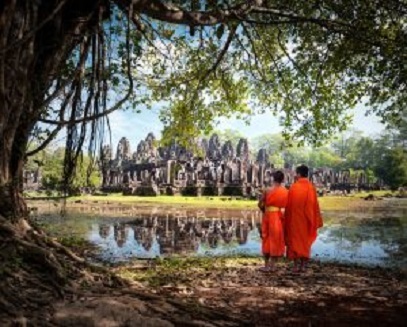 Your journey will take you on a discovery tour of the ancient Khmer temples through deep jungles, green rice fields and some of the most astonishing ruins you have ever seen. Traveling by tuk-tuk and using the treasure hunter’s book, each team will have to find clues hidden in different places in the Angkor area temples. Games or questions will involve contact with the local people and will be the only way to find the clues to help you find the secret treasure of Angkor. Lunch break will be prepared at a remote, untouched temple and will provide a chance for teams to compare notes and laugh about what’s been happening on the hunt. In the afternoon, relax under the trees before continuing your treasure hunting activities for the afternoon. The winners will be the team that will find the treasure! To celebrate the winners and to also congratulate the others, awards will be presented. You will then enjoy free time at your leisure. Enjoy free time before travelling to the airport for your flight home or to your next destination.